Christmas day is a marathon, not a sprint. And when it comes to breakfast, you don't want to overdo it on the first meal of the day, especially when there's a feast awaiting you as well as consistent grazing on chocolates, biscuits and cake. 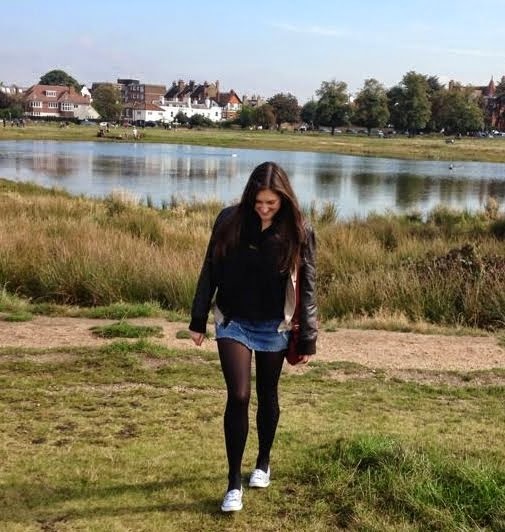 A bacon sandwich or - God forbid - even a fry up would completely ruin my appetite. So when it comes to Christmas morning breakfast I think light canapes to nibble on accompanied by bubbles while opening the presents will keep you satisfied without peaking too soon. And if like many you have Christmas lunch between 1pm and 4pm these canapes - as well as obligatory chocolates from your stockings - will keep you going until the smell of the bird roasting in the oven disturbs you from Tom Hank's dulcet tones in The Polar Express on the tele. And the best thing about these breakfast nibbles? Most of the prep can be done the night before, because who wants extra cooking on Christmas day? 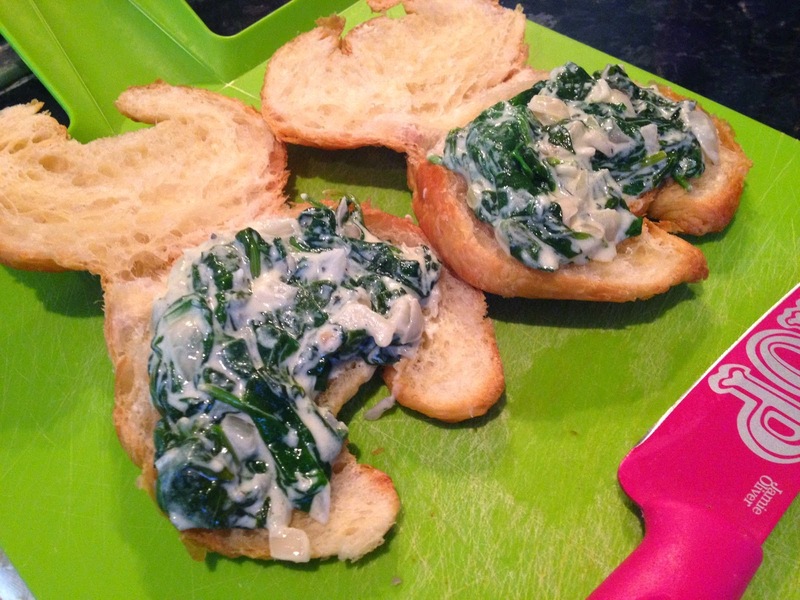 I've made these spinach and goat's cheese croissants before and they go down a treat. Accompanied by smoked salmon pinwheels (which also make a great starter or a New Year's Eve canape) and a glass of fizz, how can you go wrong? 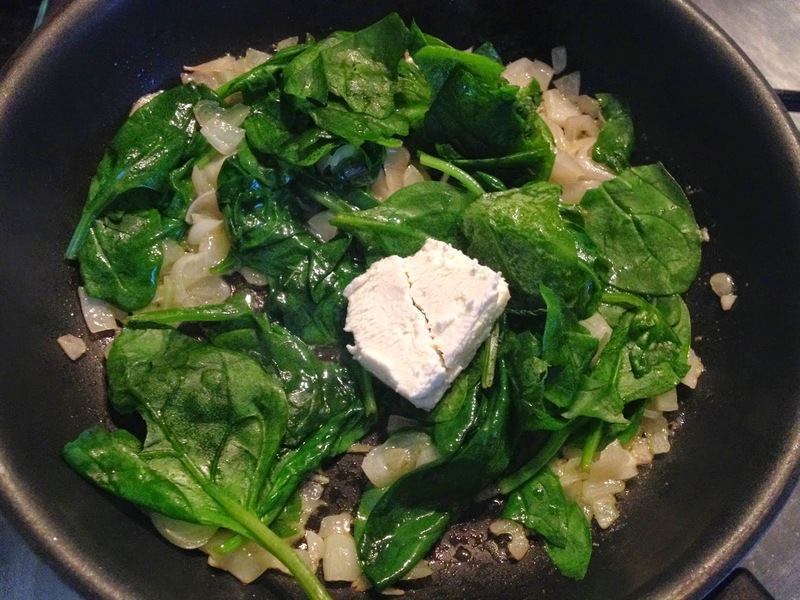 The night before: For the croissant mixture, fry off a finely sliced shallot in butter, once translucent add three quarters of a large bag of spinach and stir until wilted. Then stir in a log of goat's cheese (around 300g) and leave to melt down. Place the mixture in a bowl to cool, and then put in the fridge over night. Then for the pinwheels, take a 500g tub of cream cheese and empty into a bowl. Add the juice from half a lemon and a good grind or two of pepper. Stir together until combined, taste and add more pepper/lemon if need be. 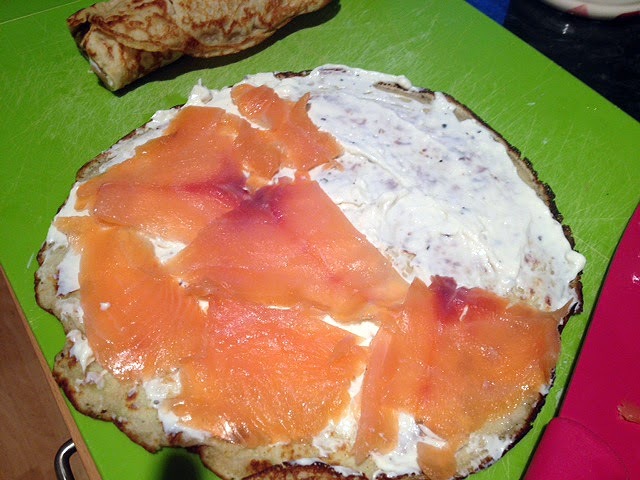 Take 4-6 shop-bought savoury pancakes (or make your own), and spread the cream cheese mixture over the pancakes. 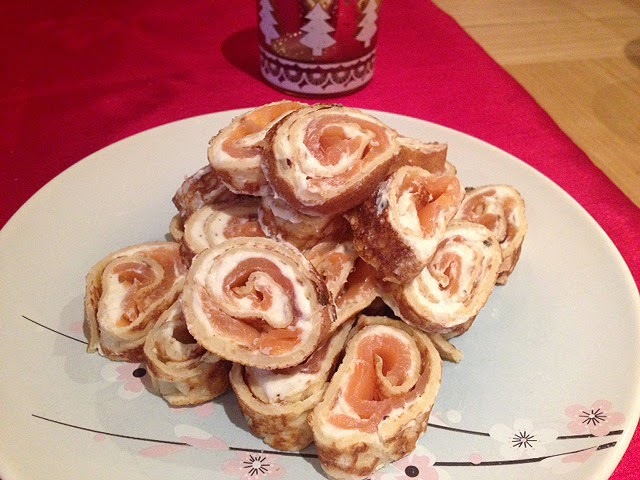 Layer half the pancakes with smoked salmon and then roll up to form a long sausage shape. Pop on a plate and refrigerate until morning. 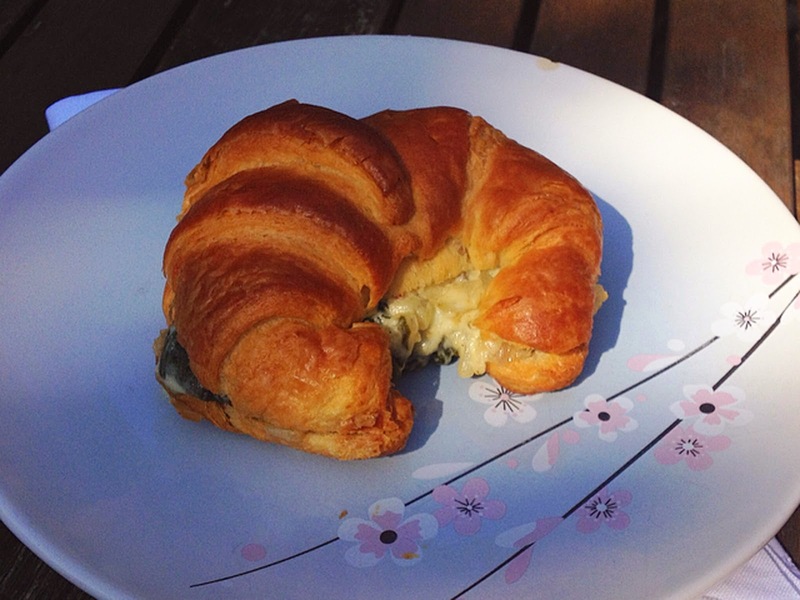 Christmas morning: Turn your oven on to 150 degrees celsius, slice your six mini croissants in half and spread the goat's cheese mixture from the fridge and sandwich together. Pop in the oven for 5-10 minutes until the croissant is heated through and serve immediately. Slice the salmon pancake into 2cm rounds, and plate up. Let guests help themselves. In champagne flutes pour half a glass of orange juice, and top up with bubbles.